So, you and your hair loss doctor decided that you need to undergo a follicular unit transplant procedure to keep you from going completely bald. Well, since this can be one of the most important decisions you have to make for yourself, you need to take the time to choose your hair restoration surgeon very carefully to make sure you are really doing what’s best for you. How do you do it? You can start by asking all the right questions! While there may be a lot of questions on your mind regarding the follicular unit transplant operation you are about to undergo, here are four of the most important questions you should consider asking your doctor before you decide to go for it. What is your field of expertise and medical background? What certificates have you earned and what associations do you belong to? In choosing a hair surgeon, you should take a look at his (or her) field of expertise. Ideally, your doctor should be certified as a plastic surgeon or dermatologist and a member of the ABHRS/IBHRS or the ISHRS. How long have you been performing hair restoration surgery and how many procedures have you done? Hair restoration surgeons who have at least two to three years of experience doing the procedure and have performed at least 100 successful operations would be considered ideal. What techniques do you favor? While there is no right or wrong answer to this question, your doctor’s response will indicate his or her primary method of transplantation. If your doctor does only one type of procedure, he or she may not be able to provide you with a more objective view of which procedure would work best for you. How much will it cost to have the procedure? It would definitely be good to hear that your follicular unit transplant surgery would not cost as much as what your research indicates but an extremely low figure should raise an alarm. When this happens, don’t let that doctor perform your surgery. You may just regret it. By asking these questions, you will have a good indication if you are indeed choosing the best hair restoration surgeon to take care of your hair problems so don’t be afraid to ask. Remember, you have the right to do so. Take the guesswork out of the equation by consulting the best people in the industry. 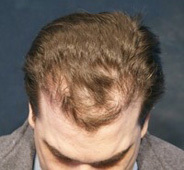 Entrust your hair loss problems to the DiStefano Hair Restoration Center. Remember, you deserve nothing but the best.